The year got off to an exciting start for members of the Bude & District Branch of the U3A. At the well-attended January meeting at the Parkhouse Centre, Bude, members were treated to an enthralling account of an amazing voyage into outer space. 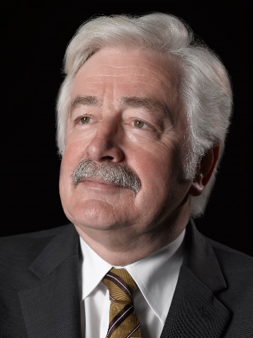 ‘Cassini-Huygens: Odyssey to Saturn and Titan,’ was the subject and the speaker, Professor David Smallwood, was able to give a first-hand account since, as Director of the European Space Agency at the time, he was intimately involved with the inter-planetary mission. Professor Smallwood, who comes from South Devon and is currently a Senior Research Investigator at Imperial College, London and Chair of the Steering Committee of the UK Space Agency, told how some 35 years ago, a small group of European scientists met with their American counterparts to discuss the possibility of working together to explore the outer planets. Saturn, its rings and moons, was the ultimate target, The Cassini-Huygens Mission was the result and the plan was to put an American orbiter, Cassini, around Saturn and to land on its major moon, Titan, with Europe building Huygens, the Titan landing craft. With the aid of dramatic images, music, diagrams and simulations and with a good dollop of humour thrown in, Professor Smallwood told the story of the highly successful mission. Titan is unique as a planetary moon because it has an atmosphere which is primarily nitrogen (like Earth) and contains many compounds of nitrogen, oxygen and carbon, thus is this respect resembling early Earth. ‘It is possible that some form of life could exist on Titan,’ said the Professor. The combined Cassini-Huygens spacecraft was launched on 15th October, 1997. After a seven-year ‘cruise’ through space, Huygens separated from Cassini, parachuted through Titan’s thick atmosphere and landed on Titan on 5th January, 2005 – the most distant landing of any man-built craft. It ceased to send data back to Earth after about 90 minutes but will be sitting there on Titan for a long time to come. 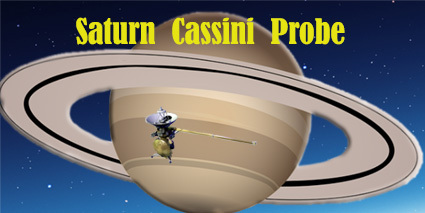 Cassini, the mothership, continued the exploration of Saturn and its solar system for a further 12 years. In 2017 the mission finally came to an end with Cassini deliberately diving into Saturn’s atmosphere and burning up. ‘This was a bittersweet moment for all those from NASA and Europe who had worked on the mission,’ said Professor Smallwood. However, analyses of the vast amount of collected data will continue for many years.